Use this thread to submit your entries in the Rush Mode contest! Please limit your submissions to one per user! If you want to show off a higher score to qualify for the untimate prize pack you can edit your original post or delete and re-post your new score. Please message or email me if you have any questions. I'm super excited to participate in this! 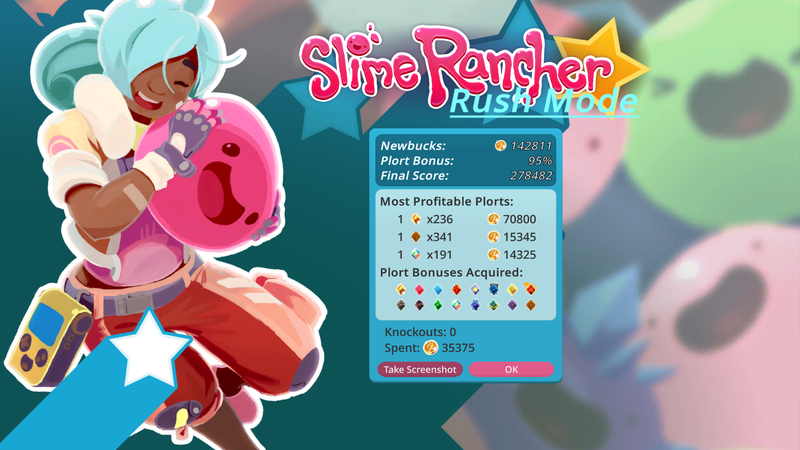 I absolutely love slime rancher, so winning merch for it would be a dream come true! Already tweeted this but still wanted to post it here. https://pastebin.com/edit/nZAHszqs here's the route I did.